Almost all of your comments are about attacking something that the mods have posted. You should stop that. It's rude. The date doesn't matter. Rob looks so yummi. He has worked a lot :-) glad he has fun. Dear robstensiempre, i dont care what you comment. You're not welcome here. I unfortunately cant ban you because this is a public site, but I'll delete your comment every time I see it. Do yourself a favor, dont bother commenting. It will be a waste of your time. It looks like Rob is holding a girls hand in this picture. She is behind him. He has a beer in one hand and his other hand looks like it is behind him holding the girls hand. Wondering if this is the new girlfriend. It's all speculation but interesting nevertheless. He looks REALLY GOOD....! God bless! robstensiempre@why come here & be rude & spread hate? 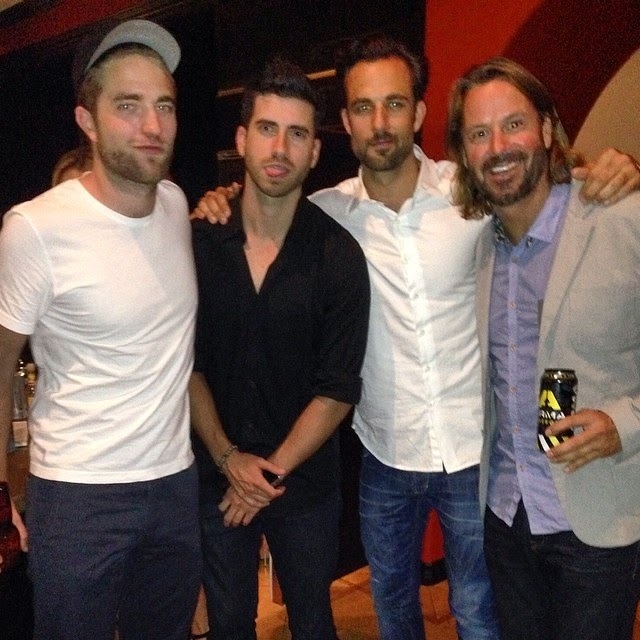 @Isabella Rob is holding a bottle in his hand (beer),& why not He is out with friends. Nice pic. He looks relaxed. I just noticed that you mistakenly entered Monday, June 8, 2015 on your homepage as the Rover Promo Index Post date. It's right beneath your homepage banner. Please feel free to remove this comment once you fix the mistake. Hello Yorah, it's not a mistake. It's set as 2015 on purpose so it can be the first post on the blog. Wow, that makes perfect sense. Who the girl behind him and where his other hand at?